How Logic Builder Strengthens SugarCRM Capabilities and Who Needs It? CRM market gurus and analysts are convinced that User Adoption is one of the key factors of high ROI in CRM system. These CRM tasks have their peculiarities, because each company has its own optimal way to solve them. It is the support of such individual requirements that significantly improves User Adoption and positively affects CRM system ROI. SugarCRM is the best CRM open source solution in the world, which provides many possibilities for customization and satisfies the most demanding users. Cost and time are the only questions. Business logic customization makes a significant share of the budget for a custom CRM solution. Since the developers’ rates are growing every year, the costs for SugarCRM customization are also growing, which negatively affects ROI. We face a conflict: in order to achieve high ROI in a CRM system you need to minimize budget and ensure high level of User Adoption. However, to ensure high level of User Adoption, you need to increase the budget for SugarCRM customization. There is a way out. Provide CRM system owners with a tool to customize the business logic without involving developers. SugarCRM open architecture and basic tools allow you to do this. Sugar Studio manages CRM system database structure, and Advanced Workflow manages user’s workflows. But when it comes to the need to perform data processing in both inner and outer processes (for example, to calculate the number of user’s open current opportunities/cases to choose the right communication strategy, or to compose an e-mail message based on complex customer’s data “on the fly”), you have to use programming. Integros Logic Builder, SugarCRM tool for visual scripting, utilizes all of the potential of its open architecture and provides new possibilities for users – designing (creation, amendments) of data processing logic without programming. 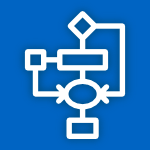 Logic Builder complements Advanced Workflow with data processing capabilities, while making Workflow-scheme more comprehensible for users, excluding data redundancy. Logic Builder usage allows you to design data validation and auto-population logic, manage messages, escalate events and much more. Integros Logic Builder allows you to customize SugarCRM logic to meet individual business needs and changes, improving User Adoption and positively affecting ROI in CRM system. Get an access to Logic Builder.